We might find that process references time, labour and the value of the skill of the human hand. Structure may imply relationships of interconnectedness and disconnection, permanence and transience. We might discover a ‘claim to the past’ through a tradition that recalls the private and public symbols of power and belief, and that alludes to ceremony, ritual and mythology.7 In ATB 4, I see the inherent identity of tapestry creating subtle layers of subtext that underlie personal statements as well as more transparent references that amplify political and social perspectives. 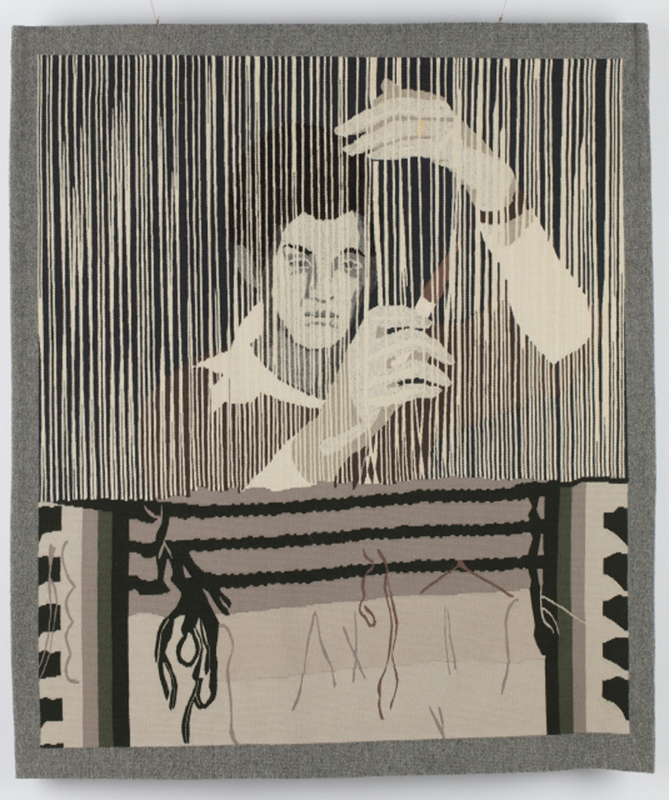 I would like to believe that maintaining a clear identity for tapestry is important and that Tapestry as a particular physical construct can exist within the broader field of contemporary textiles and contemporary art. It would seem to me that the artists exhibiting in ATB 4 chose to work within an identity of tapestry and in doing so, bring history and conceptual references to their own more personal narratives. There seems to be a commitment to speak about the present and provide a critique for the future by drawing on the past. As we look at the work in ATB 4 we can see that the more general definition of tapestry provided allows full range for the ‘depth and breadth’ of individual vision. The focus of all three jurors was clearly to create an exhibition that reflected originality of vision through the parameters of the tapestry process. The inclusion of a work by each of the jury members, Marcel Marois (Canada), Christine Laffer (USA) and Peter Horn (Germany) set the tone and standard for the exhibition by exemplifying finely honed individual vision and deep understanding of the nature of the process. Bettina Matzkukn provides an overview of the juror’s concerns in her “Introduction: American Tapestry Biennial 4” in the CD catalogue that documents the exhibition. The narrative tradition is evident in much of the work in ATB 4; the artists gather both personal and cultural symbols to tell their stories. 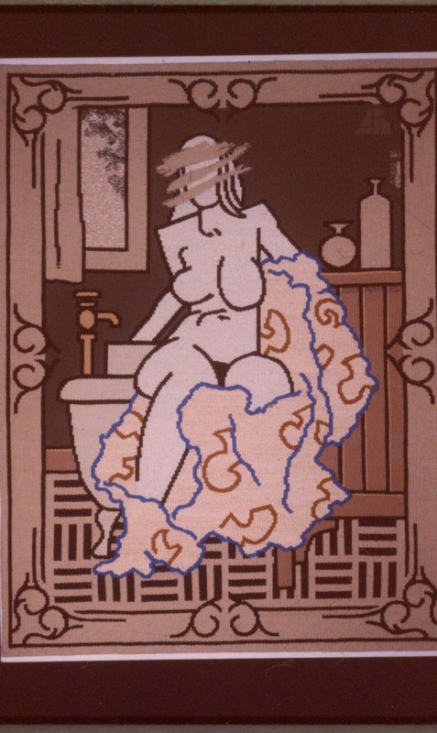 The overall effect is often more poetic than literal, provoking psychological interpretations and engaging the viewer in cryptic conversations. I think the joy of responding to a tapestry has a lot to do with looking intently and with the very creative activity of interpretation. In Falling into Light Sondra Macleod from Canada offers haunting imagery that is veiled and mysterious, barely visible at a distance. Approaching this work is like peering through a haze to glimpse a subterranean and secretive world. 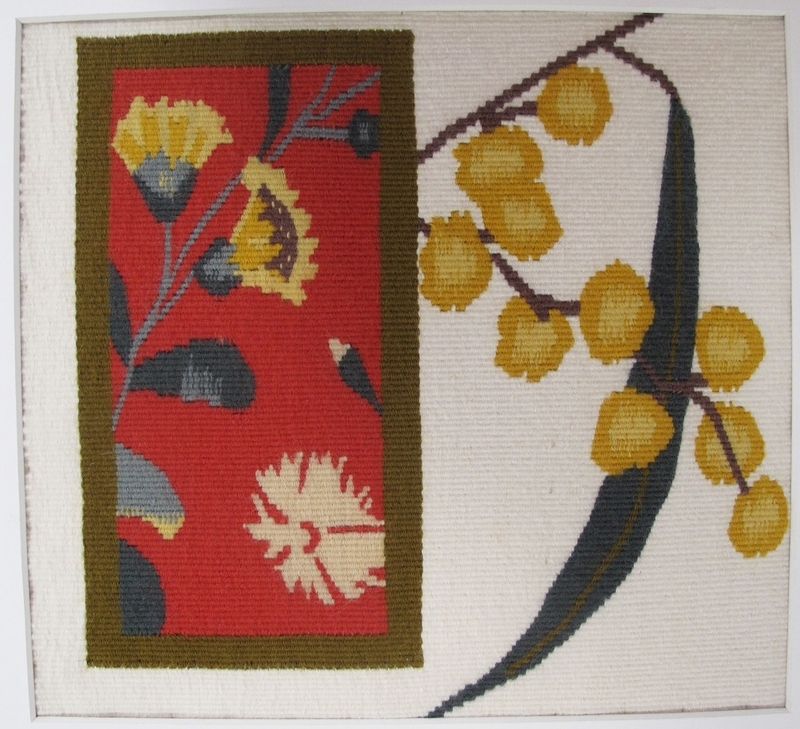 7 Diana Wood Conroy, Texts from the edge: tapestry and identity in Australia, exhibition catalogue, Jam Factory Crafts and Design Center 1995, p.5.